HCI is winning over enterprises drawn to its potential to ease management, streamline deployment of new workloads and optimize costs. The market analysis includes hardware vendors and software players such as VMware and Microsoft. Hyperconvergence is winning over enterprises that are drawn to its potential to ease management, streamline the deployment of new workloads, and optimize infrastructure costs. As much as 20 percent of business-critical applications currently deployed on three-tier IT infrastructure will transition to hyperconverged infrastructure by 2020, predicts Gartner, which recently gave the technology its own magic quadrant. The magic quadrant is Gartner’s signature format for tech market analysis, and in prior years, the research firm tackled hyperconvergence as part of its integrated-systems research. Hyperconverged integrated systems (HCIS) was one of four classes of products – along with integrated infrastructure systems (IIS), integrated stack systems (ISS), and integrated reference architectures (IRA) – that made up Gartner’s integrated systems magic quadrant. 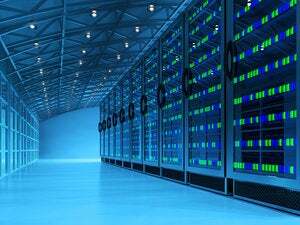 Now hyperconverged infrastructure merits its own report, and, significantly, the new analysis allows for the inclusion of software-only hyperconvergence vendors, such as VMware and Microsoft. In the big picture, it’s an indication that the hyperconvergence market continues to evolve, and deployment options are expanding. Some enterprises are choosing integrated hyperconvergence appliances, while others are opting for HCI software that’s sold as part of a reference architecture model. HCI-as-a-service in the public cloud is another alternative. Gartner’s new magic quadrant includes 12 vendors with hyperconverged infrastructure offerings (listed alphabetically here): Cisco, DataCore, Dell EMC, HPE, HTBase, Huawei, Microsoft, Nutanix, Pivot3, Scale Computing, Stratoscale, and VMware. The research firm describes each of these vendors’ product offerings, as well as their strengths and weaknesses, and rates them based on their completeness of vision and ability to execute. But first, some background. Hyperconvergence is an IT framework that combines storage, virtualized computing and networking into a single system to reduce data center complexity and increase scalability. 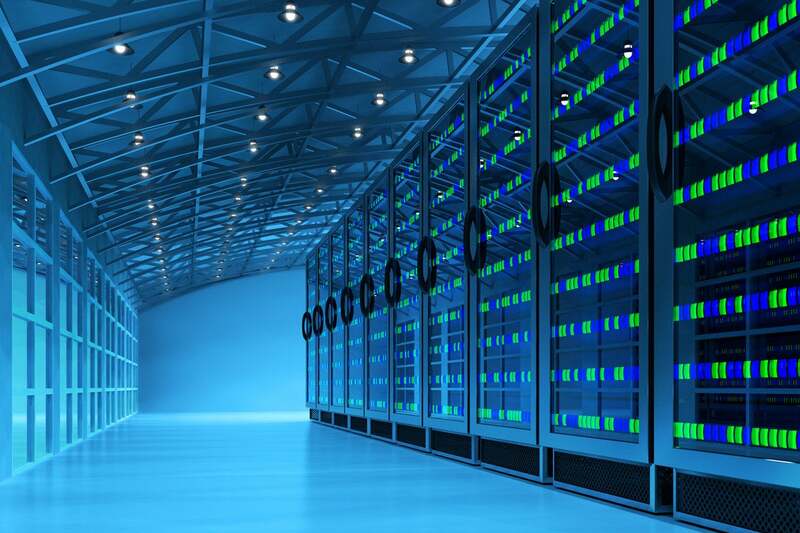 Hyperconverged platforms include a hypervisor for virtualized computing, software-defined storage, and virtualized networking. The promise of hyperconverged infrastructure is simplicity and flexibility compared with legacy solutions. The integrated storage systems, servers and networking switches are designed to be managed as a single system, across all instances of a hyperconverged infrastructure. As hyperconvergence has caught on among enterprises, major system vendors have gotten into the action by acquiring startups or bunding their servers with HCI software through OEM arrangements. Gartner’s new magic quadrant specifically focuses on vendors that develop the core hyperconvergence software. Hyperconverged infrastructure (HCI) is a category of scale-out software-integrated infrastructure that applies a modular approach to compute, network and storage on standard hardware, leveraging distributed, horizontal building blocks under uniﬁed management. Hyperconverged infrastructure vendors either build their own appliances using common, off-the-shelf infrastructure (hardware, virtualization, operating system), or they engage with systems vendors that package the hyperconverged infrastructure vendor's software stack as an appliance. Alternatively, HCI vendors sell their software direct to end users, or through resellers and integrators for use as part of a reference architecture, or on an HCI-as-a-service basis, either on-premises or in a public cloud. The new magic quadrant drops the system hardware requirement that’s part of the HCIS appliance model, Gartner says. Deﬁning the market segment as “hyperconverged infrastructure” allows for software-only delivery models (for use on certiﬁed hardware platforms) and as-a-service delivery models (for use in on-premises or public cloud infrastructure), as well as hardware appliance offerings. Gartner says that it made the changes because its clients routinely compare hyperconverged appliances to hyperconverged infrastructure software that runs on certiﬁed reference or OEM hardware partners' systems. To be included in the hyperconverged infrastructure magic quadrant, vendors were required to meet several functional criteria. For example, Gartner specifies that the HCI software stack must include software-deﬁned compute, storage, and, optionally, networking with integrated software services and management. In addition, the HCI products must use local direct-attached storage (rather than a storage area network or network-attached storage), and it must be able to pool DAS into logical, abstracted virtual storage. And, the storage and data management services built into the offering must be developed by the HCI vendor, not a white-labeled through an OEM relationship. Gartner makes the full report available to its clients (list price is $1,995). Alternatively, some of the vendors in the report have licensed the option to distribute copies (often available at no cost in exchange for providing business contact information). This article won’t go into detail about each vendor’s product development or go-to-market approach, nor will it detail each vendor’s strengths or potential shortfalls – the full report does that. But here’s a glimpse of some of the highlights. Nutanix: Strengths include proven user acceptance, high customer satisfaction, and ﬂexibility in hypervisor choice. Potential cautions include demonstrating product breadth and a perceived lag in initial market price competitiveness. Dell EMC: Strengths include the maturity and market traction of products such as VxRail, VxRack SDDC, and PowerEdge servers. Potential cautions include VxRail’s software release cycle lagging behind VMware’s cycle. Gartner also calls out some specific enterprise features that depend on external software. VMware: Strengths include the broadest set of hyperconverged consumption options and solid integration among vSphere, vSAN and vCenter. Potential cautions include a lack of data reduction features and concerns related to vendor lock-in potential. HPE: Strengths include SimpliVity’s robust data services and HPE ProLiant DL380’s broad market acceptance. Potential cautions include SimpliVity’s place within HPE’s complex, overlapping portfolio and limited hypervisor support. Cisco: Strengths include Cisco’s leadership position in network infrastructure and its ability to address internode networking challenges in hyperconverged infrastructure. Potential cautions include limited hypervisor support and room for improvement in backup and disaster recovery. Huawei: Strengths include market strength of FusionCube in Asia and EMEA, and Huawei’s strong foundation of ecosystem partners. Potential cautions include limited market presence and third-party support for FusionCube in North America, and room for improvement in storage functionality. Pivot3: Strengths include ease of use and the Acuity product line’s ability to support a broader range of customer workloads. Potential cautions include late-to-market integration with public cloud providers, and room for improvement in API integration and reporting. Stratoscale and Microsoft landed in the “visionaries” quadrant, and Scale Computing, DataCore and HTBase round out the “niche players” quadrant. While the new format makes room for software-only players, it excludes some vendors that appear in the hardware appliance-centric HCIS analysis. They’re left off because, while they might offer an HCIS appliance, they rely on a partner for the development of the core hyperconvergence software. To that end, Gartner called out a handful of “honorable mentions” of vendors that didn’t meet the inclusion criteria for its new magic quadrant but are worth consideration by companies that are interested in hyperconverged infrastructure software. Among those honorable mentions are: Fujitsu, Hitachi Vantara, Lenovo, Red Hat, and StarWind Software. “Hyperconvergence is making inroads in enterprises, as major system vendors acquire startups or bundle servers with HC software offerings. I&O leaders should focus on the capabilities and limitations of HCI software, which is offered by a wide range of server platform vendors via OEM partnerships,” Gartner summarizes. This story, "Hyperconverged infrastructure gets its own Gartner magic quadrant" was originally published by Network World.